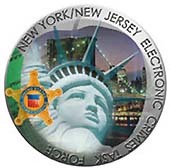 For the third straight year, New Jersey Law Journal and its Readers have named Creative Associates as Best in the Security and Data Protection/Recovery category. For over 38 years, Creative Associates has been characterized by our consistently strong emphasis on customer service. For almost as many years, we have been helping our clients maximize the performance, availability, and security of their computers and networks. We recognize that no two clients are the same and no two clients' needs are the same. There is only one constant among all of our clients: Their unqualified appreciation for our unparalleled dedication, support and competency. Our facilities are conveniently located and reachable by Trains, Planes, and Automobiles. "Actually you were my first thought for networking, security and consulting. Just for the record."